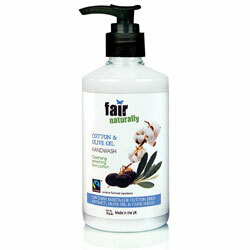 handwash leaves your skin feeling refreshed and nourished. Pump a generous amount of handwash into palm, lather and rinse thoroughly. Give your hands a little extra ‘tlc’ by using our Cotton & Olive Oil Hand Cream, enriched with natural nutrients and moisturisers to help keep hands feeling soft and smooth. soothing and moisturising properties. This sensitive hand cream deeply nourishes skin, leaving it soft, supple and moisturised. Apply generously to hands and work in until absorbed into your skin. 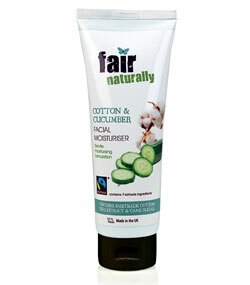 Cotton Extract and Cane Sugar, this gentle facial cleanser leaves your skin feeling refreshed and cleansed. 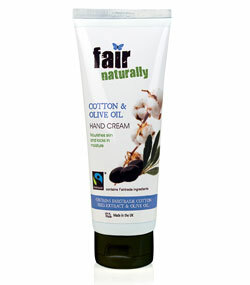 Apply to cotton wool and gently massage into the face and neck until the face is fully cleansed. >Give your face the ultimate pampering session by following up with our gentle Cotton Facial Toner & Facial Moisturiser, to help leave skin looking fabulous! 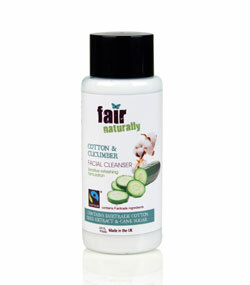 fair naturally Cotton Facial Toner is effective at toning & tightening the pores and refreshing tired complexions. 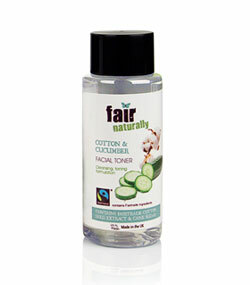 Made with Fairtrade Cotton Extract and Cane Sugar, this gentle facial toner leaves your skin feeling refreshed and toned. Apply to a cleansed face, gently dabbing a cotton pad covered in toner over the face and neck area. Oil and Cane Sugar, this nourishing moisturiser leaves skin feeling softer, moisturised and more radiant. Apply liberally to a cleansed face until absorbed into the skin.